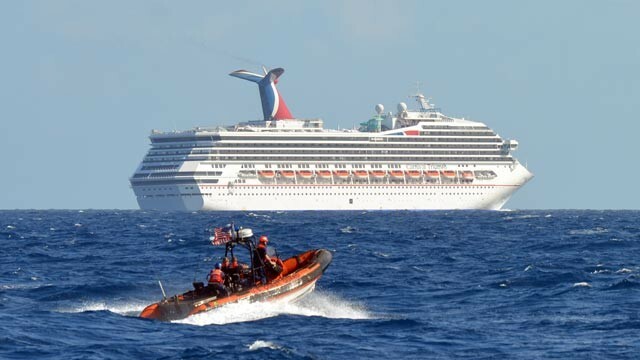 Howard and I were reading with fascination and revulsion about the Carnival Triumph, that stranded cruise ship pictured above. I used to hear from Leonard Pennario how it used to be when ships hit a storm and the pianos on board would go rolling all over the place. But this sounds worse. This cruise ship is now said to look like a shanty town! And I thought I had it bad, it being Ash Wednesday and me having already eaten through almost all the food I am allowed for the whole day. "Can't they do anything about this ship?" I wondered. 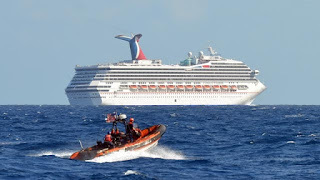 "Can't they sail out to that cruise ship and do something about it?" "I don't know," Howard said. "I'm just glad I'm home."